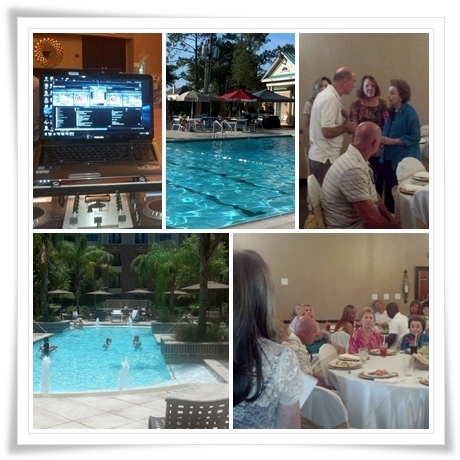 – Friday evening- We performed for the good members at Willow Fork Country Club. This was a family fun event filled with games and prizes for the adults and kids. Golf passes, adult prizes, kids prizes, dinners and more were given away by DJ Forrest with special games like Name that tune, and the True False Trivia Games. Great pool party by all and they anticipate having many more of these in the future due to the success reported by everyone! DJ Forrest performs events of all ages and types, and the photo below illustrates this. Here is Dorothy celebrating 80 great years!